When Florida eco tours are mentioned, quite understandably, the first thing that comes to most people’s minds are the Everglades. This area is the most popular for airboat tours and mangrove safari tours. There are other places to explore the environment in Florida, however. 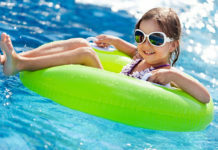 Eco Tourism on Sanibel Island and Captiva Island is one of this destination’s most popular draws. This island is renowned for its pristine mangrove ecosystems, its extensive beachfronts and the numerous species of shells to be found on the shores. A large part of this island is occupied by a nature preserve. Explore the mangroves in the J.N. “Ding” Darling National Wildlife Refuge. Florida eco tourism oftentimes centers on environments which are endangered or threatened. 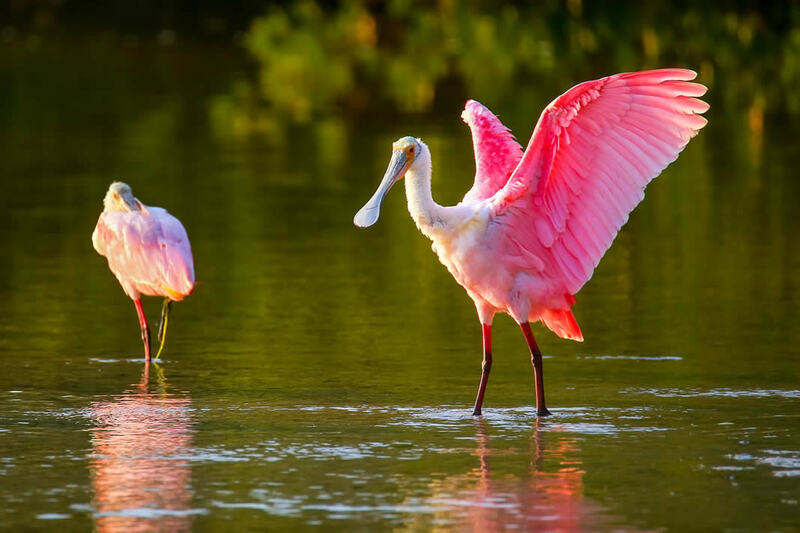 One of the most popular destinations for eco tourism on Sanibel is the J.N. “Ding” Darling National Wildlife Refuge. This refuge occupies the northern portion of the more than 5,000 acres set aside as a preserve on Sanibel Island. 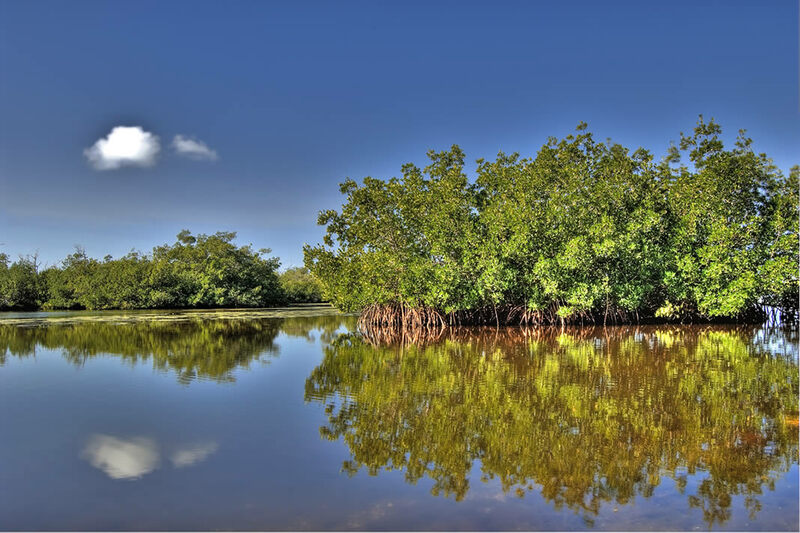 Mangrove ecosystems are some of the more fragile and threatened on the planet. The J.N. “Ding” Darling National Wildlife Refuge protects one of these ecosystems and allows tourists to explore the fascinating wildlife that calls this exotic locale home. Eco tourism in Florida such as this helps to preserve these national treasures through education. Eco Tours are exciting for the entire family! 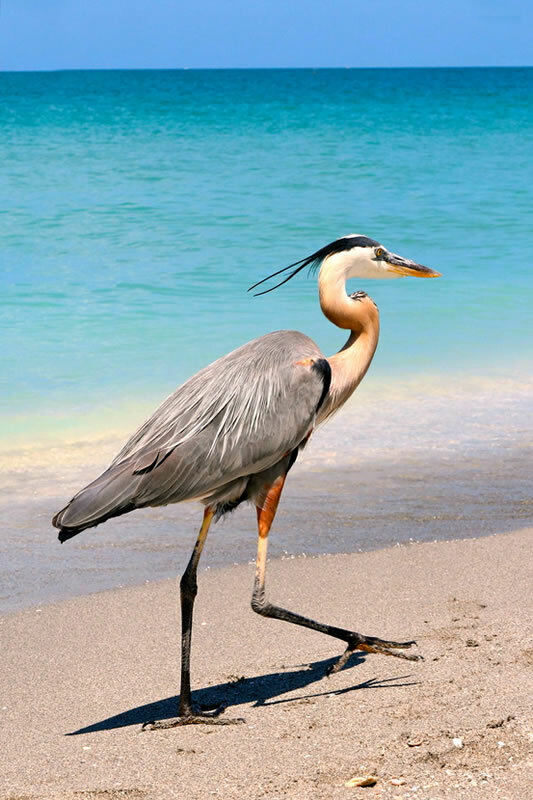 Spot great blue herons throughout the islands. Eco tourism in Florida, predictably enough, oftentimes centers on the seaside environs. On Sanibel and Captiva, those who love to go shelling will find themselves in one of the best locations for that pastime on Earth. 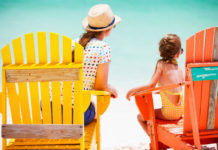 The shelling on these beaches is recognized as world-class and visitors will find everything from sand dollars to scallops and much more. There is a museum on the island, the Bailey-Matthews National Shell Museum, which is dedicated to educating visitors about the undersea world of shellfish. This museum has over 30 exhibits and is the largest such facility dedicated to the study of shells in the world. Eco tours in Florida oftentimes take travelers far off the beaten path. 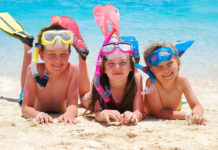 On Sanibel Island and Captiva Island, this oftentimes means visiting beaches which are far outside the developed areas of the islands. While it’s associated with relaxation and just getting away from it all, eco tourism on Sanibel oftentimes means visiting Bowman’s Beach. It may be close to populated areas but this beach is very secluded and allows visitors to explore the seaside environs in peace. There are festivals held at various times of year which help to educate visitors about this delicate environment and the island itself. 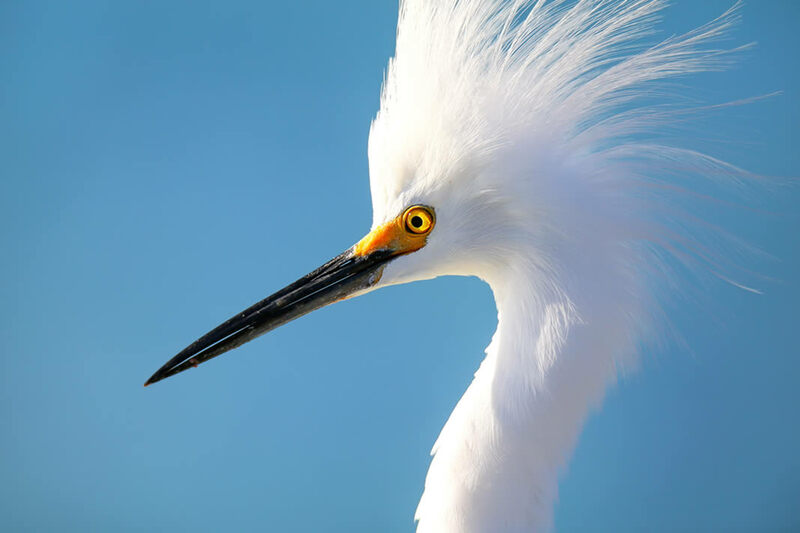 Beautiful snowy egrets are a part of every eco-tour on Sanibel and Captiva.